All vintage Suzuki motocross parts under one roof! 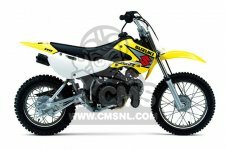 Are you finding out an online store that will offer you A to Z items of your favorite motorbike? Then you are at the right place. Here you will find everything from vintage Suzuki motocross parts, Suzuki RM 250 parts to Suzuki TM parts. You can find items by entering model name or part number and the item you are looking for will be displayed within few seconds. 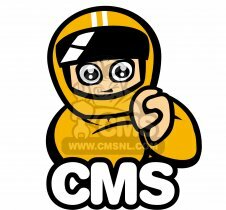 We have designed our site in a well organized way where special categories are allocated according to the motorcycle brand and type. Motorcycle parts for high efficiency and great performance! Whether you are riding on smooth streets or roaming on the desert, the quality of motorcycle parts makes a huge difference for comfort, safety and control of your bike. Low quality spares can put your bike in constant maintenance and it will eventually affect its life. CMS knows this very well and that's why we supply parts that can always keep your bike in prime condition. Enjoy real thrill of riding by upgrading your bike with high quality vintage Suzuki motocross parts available at CMS. When it comess to buying spares for your bike, one thing that matters a lot is adaptability. At our store, you will find items that are fully compatible with the specific bike model. Over the years, CMS has offered its customers diverse range of parts at price that beats the competition. On the virtue of loyalty and support shown by our customers, CMS has transformed into an organization that delivers tremendous range of products across different regions. We are totally passionate about our business and we are proud to share with you some of the most sought after bike parts of current time. Have a look at our updated collection of vintage Suzuki motocross parts.